We have partnered with Clinical IQ to capture their expertise through the development of a set of template policies, procedures and accompanying documentation forms (together referred to as the SOPs). The SOPs have been developed, used and refined over many years in a number of various practice setting. They are effective in establishing robust operating procedures that ensure patient safety. 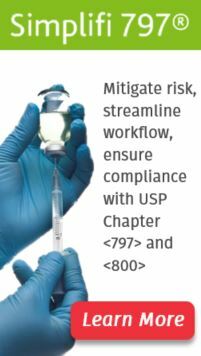 USP Chapter <797> and Chapter <800> describe minimum acceptable sterile compounding practice and contains many specific references to the requirement for written SOPs. Certainly best practice models always include the need for detailed written SOPs, which must act as the basis of all staff training. Staff cannot be expected to perform correctly or consistently if the requirements and the performance outcomes are not communicated through an articulated and disciplined written explanation. These detailed procedures and forms reflect not only guidance to foster achievement of compliance with Chapter <797> and Chapter <800> but with aseptic processing best practices as well. They are continually refined and updated regularly to reflect regulatory changes (like Chapter <797> and Chapter <800> revisions). They are consistent with the CriticalPoint eLearning Training but provide more specific “how to” detail in regards to process as well as documentation. The SOPs and forms can be harmonized to match the actual working conditions of your compounding facility and practice. Since each user of these SOPs will have a different physical plant, compounding risk levels, etc., we have included instructive guidance and suggestions in these policies and procedures. Customers that want a “turnkey” solution for all of their sterile compounding operations can purchase the entire Sterile Compounding Standard Operating Procedures or the Hazardous Drug Compounding SOPs may be purchased separately. Purchase includes access and updates for one location for one year. Facilities can purchase access for additional years for $750 per year for the complete set and $500 for just the Hazardous Drug Compounding set.